Make way for FLORAL WINGS. Nature’s abundance never seizes to inspire us. For centuries, we’ve used floral wreaths and bouquets to decorate our homes. Just a whiff of fresh fragrance is enough to soothe all our senses and fill us with renewed energy. 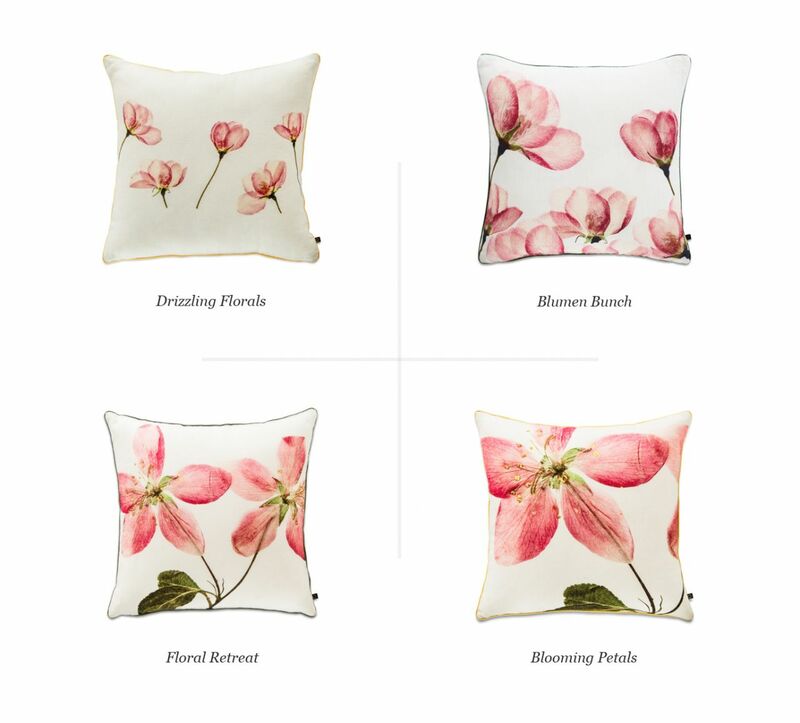 Infuse your abode with hints of beautiful floral bunches with our new Floral Wings cushions collection.